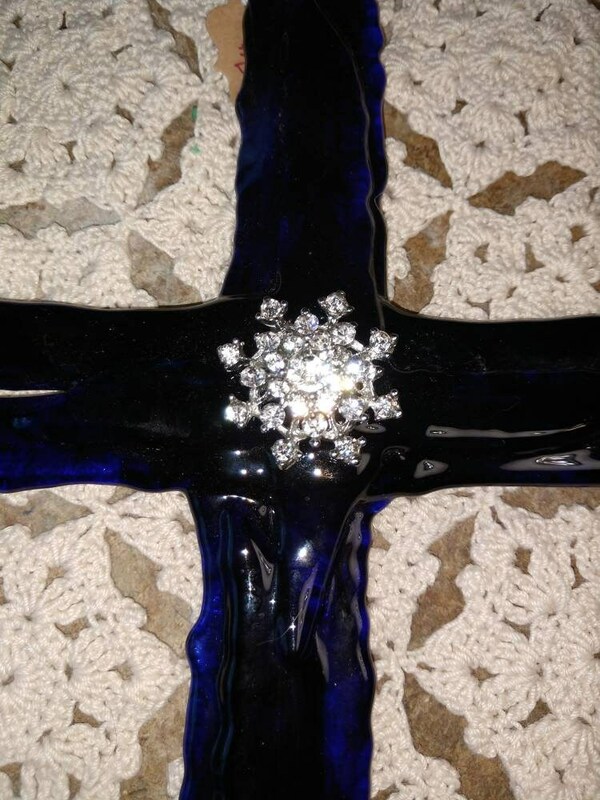 This beautiful cross is made from a royal blue fused glass and is embellished with a vintage brooch. 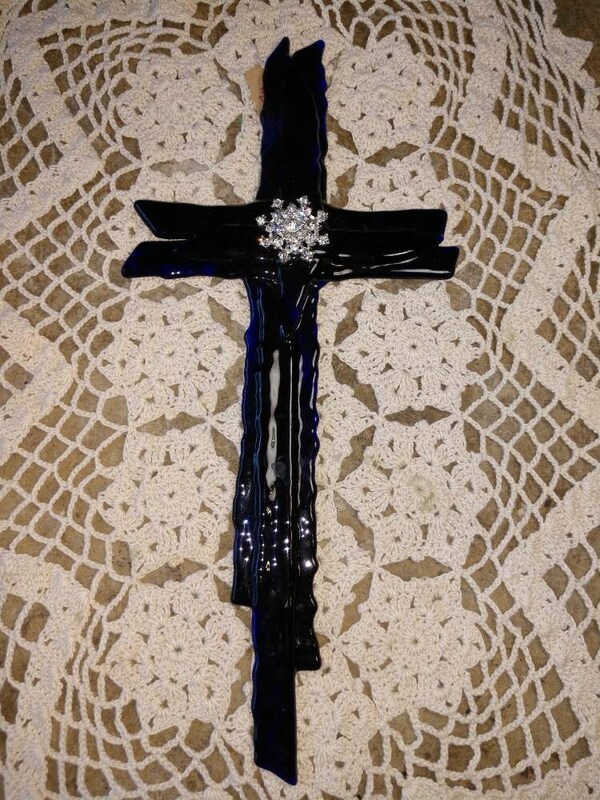 It is ready to hang on the wall in your favorite room or to give it as a great gift. 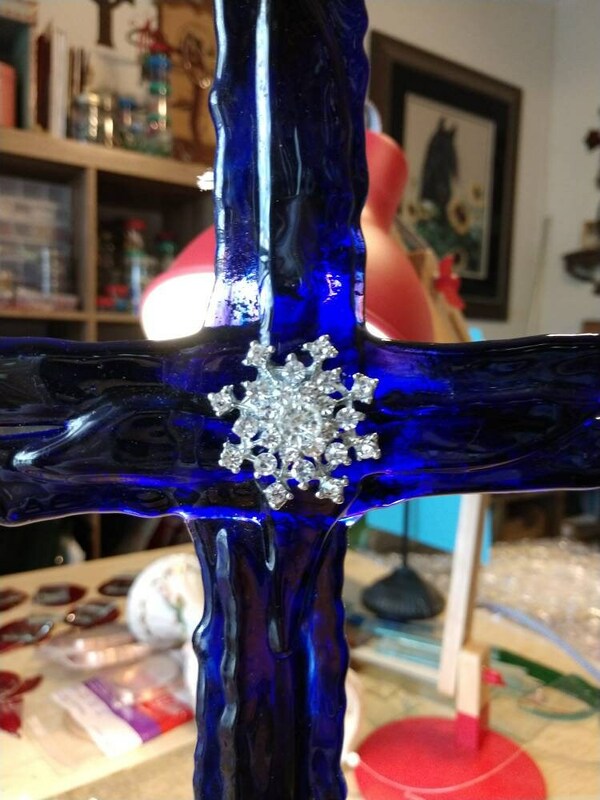 Cross is 12 and 1/2 in Long.